Over the past few months, I’ve had the opportunity to review the Millennium series, a five episode fantasy RPG epic. Each individual game possesses its own characteristics and unique pleasures, managing to stand on their own. However, I believe when the series is taken as a whole, it produces an experience far better than its parts. Treating each episode like chapters in a novel, not finished until every chapter is read and understood, this same mentality can have an impactful influence on just how much enjoyment we can glean from playing any series of games. In the case of Millennium, as excellent as the individual games are, I feel the series taken as a whole provides a far more satisfying and lasting experience. For those of you who have yet to discover the charms of the Millennium series, it is my pleasure to once again introduce this story. It begins in the land of Myst, comprised of the Mystlands and Mystrock. 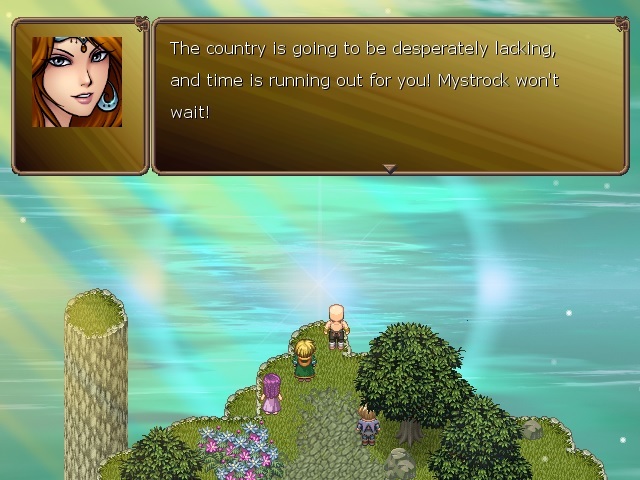 The Mystlands are countrysides full of hard working people struggling against poverty, starvation, and the destruction of their farmable lands. Mystrock is the governing city of Myst with closed borders and nothing but lavish waste, greed, arrogance, and tyranny within. It’s through this conflict between those who need and those who have yet are unwilling to help that we are introduced to our heroine, Marine. 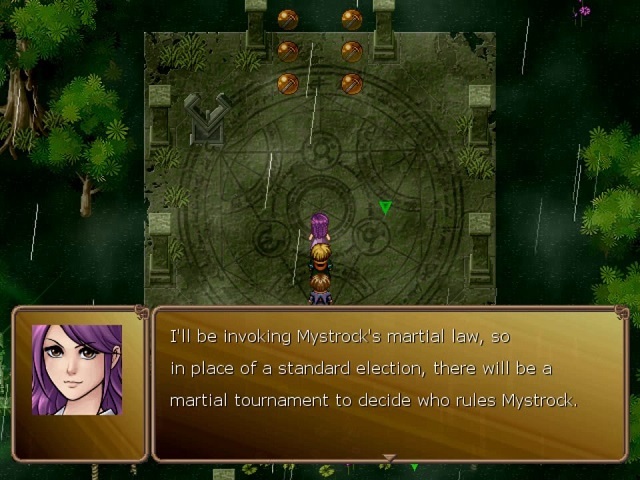 A simple country girl who wishes to save her village and every countryman suffering the oppression of the Mystrock Kingdom, Marine learns of a stipulation in the laws called the Martial Law, which would allow her to challenge and potentially overthrow the current rule through a martial arts tournament. Her ultimate goal is to find and register 13 warriors from the Mystlands that would fight alongside her against 13 Mystrock fighters. So with this knowledge and her unshakable hope, she begins her quest, meeting new people, helping others along the way, joining forces, and building her team to ultimately release the oppressed from the grip of the corrupt. Taken as a whole, I truly enjoyed Millennium’s story and narrative. This overarching plot which serves as Marine’s purpose brings out so many dimensions of her and other characters involved that it’s a real joy to take part in. I do wish this main plot point had more of the spotlight, but having completed the series, I can understand how things could get stale if all Marine and her companions did was train or talk about the tournament. Still, I would have appreciated more balance between the main plot and the episode specific plots. 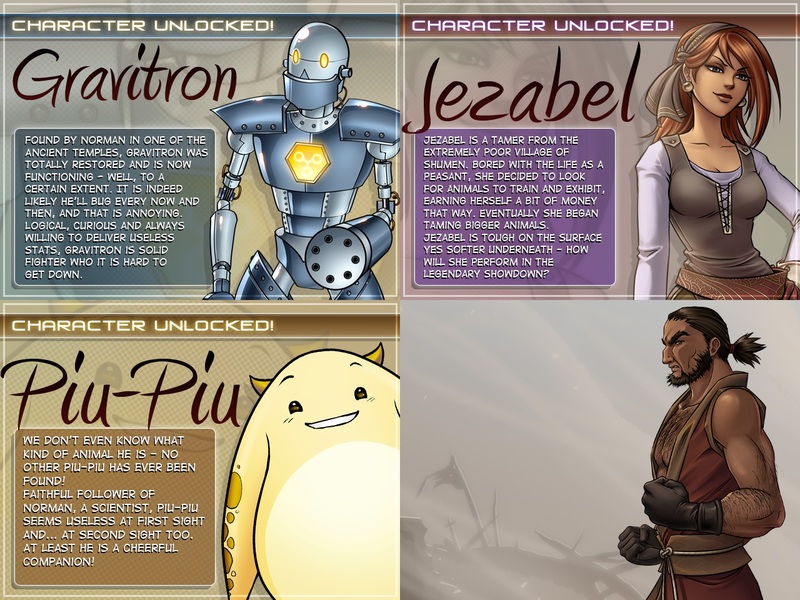 Speaking of which, each episode has its own plot that carries us from one game to the next. While each episode discusses the tournament and the need to find warriors through their narratives, these game specific plots are what really move things along. This style works for the most part, as there’s plenty of excitement, immersion, and character development that comes from each game’s plot. My only concerns were that sometimes these specific plots feel far too tangential or separate, forcing the main plot points out of our minds. Many times, the main plot simply becomes a device to impute senses of frustration, depression, or urgency during play. Having said that, some of the side stories can be pretty fun, delivering a wealth of humor and charm. Plus, moments of sheer brilliance are everywhere, waiting to be revealed. 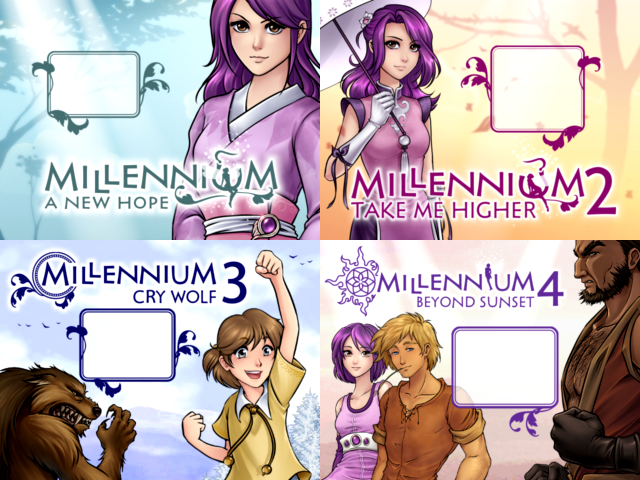 Lastly, I am disappointed with the abrupt ending of Millennium 5 and the series as a whole. It feels rushed and incomplete, leaving us to wonder how certain points were resolved and what happened to specific characters. I would have liked a stronger conclusion. Overall, I would have liked to have seen a better balance, or a better integration between main plot and game specific plots, as well as a stronger finish, yet the overwhelming positives these games provide throughout their courses are most definitely worth experiencing. Throughout my previous Millennium reviews, I discuss character development thoroughly, mainly because of how impressed I am when it comes to the growth and depth of a few of the main characters. Truly, Marine is a gem. She is an absolute pleasure to be with. From her start as an energetic, jovial young girl who enjoys simple pleasures like exploring and jumping, we share in her growth into a determined, empowering leader, whose hope can drive away any doubts and fears. Throughout this shift from country girl to willpower incarnate, we also see the development of other characters that are with her throughout. 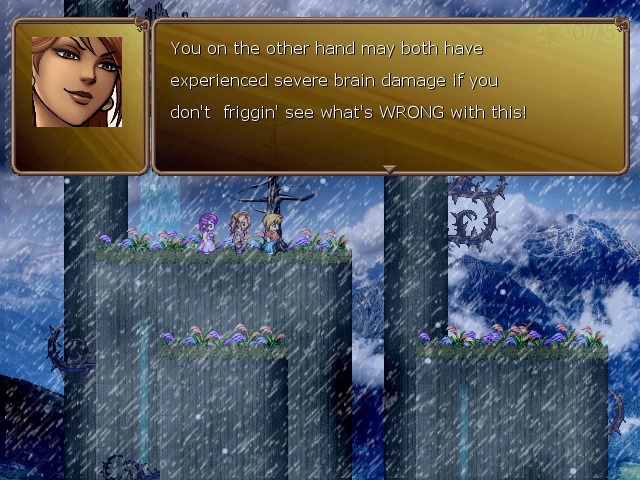 Jeanne the fairy acts as Marine’s subconscious, providing the snark and sarcasm Marine can’t voice out loud. Jeanne is a wonderful companion to Marine, providing the hope and willpower she needs when she’s at her lowest, but also reminding us that Marine is still this wonderful young girl who knows how to joke, laugh, and enjoy simple pleasures in nature and life. Jeanne and Marine are fantastic and just to experience these two characters is worth playing through the series. Yes, they are that memorable and that spectacular. Other characters in the series have their bright moments too, the best developed of these is Benoit, Marine’s cousin who’s with her from the beginning (only Jeanne is with Marine longer). Many characters receive spotlight moments that show the many sides to their personalities, as well as growth during their ordeals. 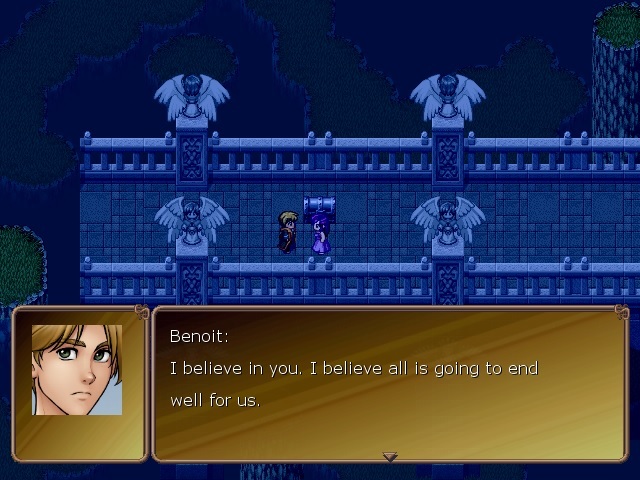 Benoit has a wonderful moment of compassion and maturity at the end of Millennium 2, showing his willingness to go all the way for Marine. Unfortunately, he sees some digression too, returning to his old style of hesitation, doubt, and fear until he starts showing glimmers of growth again in Millennium 5. It’s as if because the focus had to shift to others, he reverted to a form easier to handle narrative-wise. This focal shifting is troublesome and the main reason why the characters didn’t flourish the way they could have. Other characters also rotate from spotlight to backseat as more new characters are added and this pattern tends to repeat. While these others like Karine, Salome, or Jezabel may have intriguing back stories and their times to shine, it’s just not enough to completely satisfy. With the degree of development Marine receives, of course it leaves me wanting the same impressive level of development for everyone else as well. Again, they each get their moments, but I wish those moments were more in quantity and quality, especially since, despite all of this, I very much came to care for all of them so deeply. Moving on to gameplay, there are several elements that the Millennium series manages to incorporate. Starting with its classic combat, the traditional turn-based system starts with a style based on equipping the best weapons and gear available during Millennium 1, 2, and 3. This style evolves into a purely hand-to-hand focus that places more emphasis on hit count and levels achieved than equipment. As the tournament approaches, less gear is available and previous equipment becomes unusable, again, to emphasize the need to train and to stay within tournament rules. It’s an intriguing evolution, as it allows for different play styles, as I feel the need to train hand-to-hand opens up opportunities to use different combinations of characters and try alternate strategies so everyone has the chance to grow. The transition from one style to another keeps combat fresh and adds variety to a familiar system. Another change to combat that I particularly enjoy is the breakup of the entire group into smaller parties. Although this is only seen in Millennium 5, I am so impressed with this element that I had to mention it here. It’s wonderfully executed, using narrative to drive the need for the smaller groups. It also gives ample opportunities to use characters that may have been neglected, allowing for their growth. Smaller groups also allow for more character development, as we see Benoit, Jezabel, Salome, and others receive some fantastic narrative moments during these separate excursions. This is an element of gameplay that I wish had been used from the beginning, as it allows multiple side plots and branches to run simultaneously and allows for more individualized focus and character development. Quests make up another significant piece to the gameplay, but here the quality is inconsistent. Most side quests are either purely combat based, or are fetch quests that also depend on combat. Combat is just too heavily relied upon for side quests, so completing them can drag down play flow and immersion. Main quests are naturally flowing, driven by narrative and depth, so I wish the many side quests also had greater depth. Perhaps more detailed development of the NPCs that give these side quests would have made completing them more worthwhile. 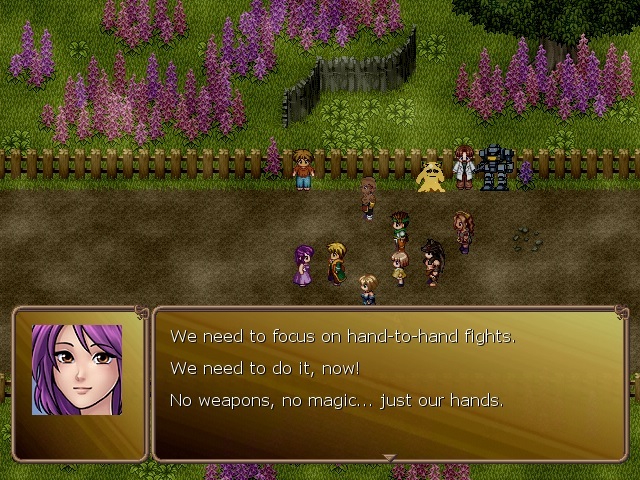 I mention the NPCs because I wish to address the interactivity element of the series’ gameplay. 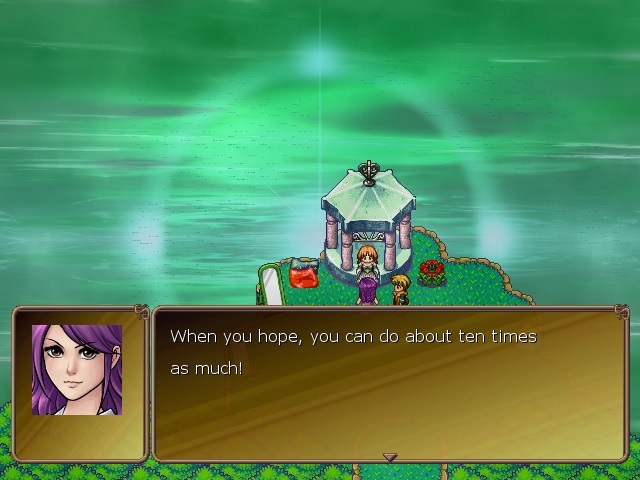 Interacting with townspeople throughout the journey, learning about the struggles of each town, and experiencing individual perspectives is always a wonderful touch to any RPG and those opportunities in the Millennium series are always ones to look forward to. Helping entire groups or towns make the efforts feel more rewarding and impactful, especially in this world in which the struggles are relatable and palpable. It’s a traditional style for the genre, but one that’s well executed when they’re present in this series. So what really irks me is that as the series progresses, there is a very noticeable decrease in interactivity. 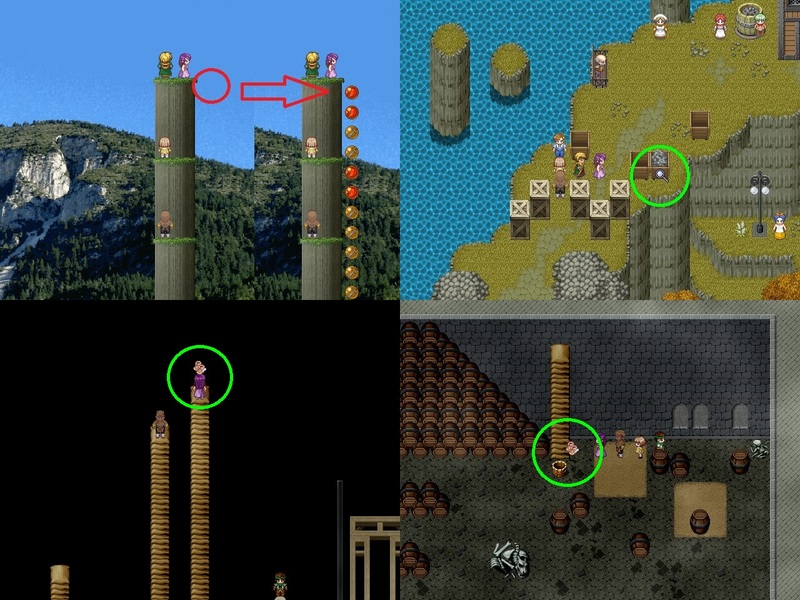 We go from a style that incorporates multiple villages and plenty of NPCs to speak with, to one in which there’s only two, or even a single town in the entire game. That interaction with the very people Marine is determined to save is lost, as is the feeling of saving a land and population, rather than just a few individuals scattered around in the later episodes. For example, most of Millennium 4 is focused on searching for the Bear. As critical as he is, both as a mentor to the group and as a fighter, it takes away from the sense that Marine is doing all of this for others, as there are hardly any others to interact with. Millennium 5 does a better job with interaction by introducing Blondie, as she drives a role reversal; Marine and her companions are the ones that receive the help from her. Also, a sizable village full of NPCs is incorporated, but again, it’s just the one village for the entire game. The earlier episodes manage to do interactivity better and so I wish we could have seen that level throughout because when it’s there, it’s done exceptionally well. The other major piece to gameplay is the search mechanic. Again, if you’ve read my previous reviews, you’ll know that I have issues with this gameplay element. As a fan of the genre, I love searching and exploring, as long as a proper balance of challenge is maintained. Unfortunately, in too many instances, secret rooms and hidden items are obnoxiously hidden. In Millennium 1, if you mouse-over a hidden secret, the cursor icon would change. This is not always the case in proceeding episodes, as Secret Rooms didn’t always have those corresponding icon changes. It goes from challenging to tedious, becoming a chore to find the many Secret Rooms that can provide significant advantages to play. I even previously suggested that this serves as a means to encourage guide purchases. Having discussed the search mechanic at length for each game previously, I’ll simply say that it’s not terrible and can be fun at times, but be prepared for some tedium, and as soon as you feel it, just move on, because none of the secrets are required. You are welcome to explore as much or as little as you want, which I feel is the best decision made by the developers for this. Searching is not perfect, but it has its moments too! 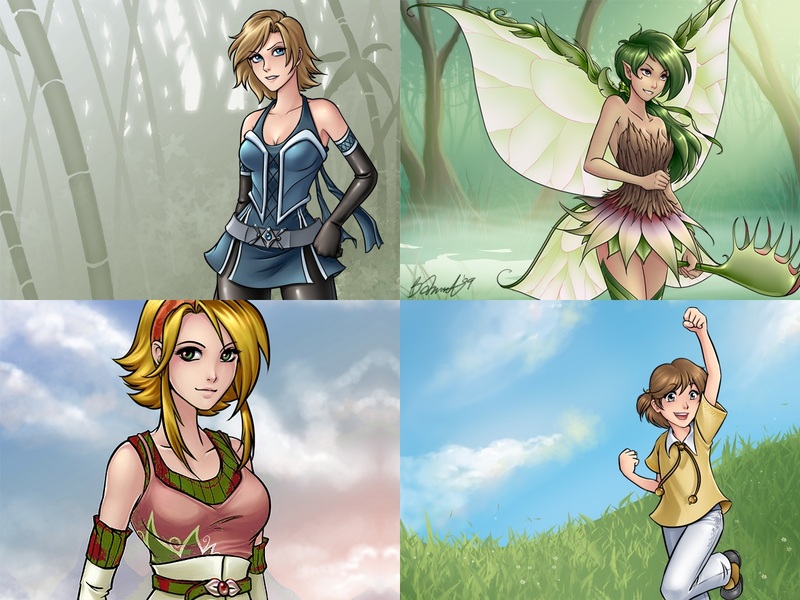 Lastly, I think the main reason I enjoy these games as much as I do is because of the aesthetic brilliance by Aldorlea. Not only is every game visually and audibly beautiful, the quality is consistent. From the portraits to the sprites and tilesets, a tremendous amount of love went into the creation of this world and the characters within. There is a clear adoration by the artists who brought this world to life and I have nothing short of appreciation and adoration myself for their efforts. The soundtrack for the series is equally impressive, fitting the environments and events they’re paired with. My consistent gripe was that I always felt that each game could have benefited from more music, as the tracks do get reused from game to game. Really though, I just wanted more because of how much I enjoyed and continue to enjoy the musical score throughout. I said before that experiencing characters’ growth or living the story are reasons enough to play the entire series. The aesthetics too, are more than enough to encourage a playthrough. In all, I absolutely and thoroughly loved playing through the Millennium series. So much so that I simply wasn’t ready to say goodbye to this epic story and it’s wonderful set of characters just yet. The individual games are all fantastic, but I believe the best way to enjoy the Millennium series is if you play through all five games consecutively. This means you play them exclusively, without interruption from other games, and you immediately play the next after finishing an episode. Taking too long a break in between episodes will cause you to forget or miss out on subtle details and references to past episodes that only serve to deepen the experience. If you’re (somehow) still unsure, I encourage all of you to read the individual games’ reviews, which have all been linked within this review in blue, to have a better sense of the storylines and what’s in store. Links to each game’s purchase page can be found at the top of each review, just look for “Original Release Date,” and the links are also in blue. I cannot recommend this series enough, it was a true pleasure to play and I’m already looking forward to the day I can replay this wonderful adventure again, as this experience will stay with me forever.